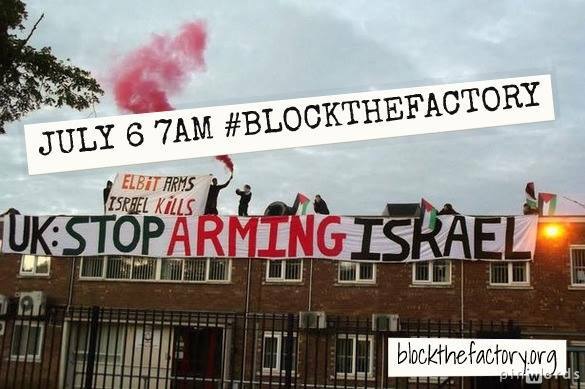 Join us in shutting down UAV Engines in Shenstone, were Elbit System makes the engines fitted into the Hermes 450- the drone extensively used against people in Gaza. 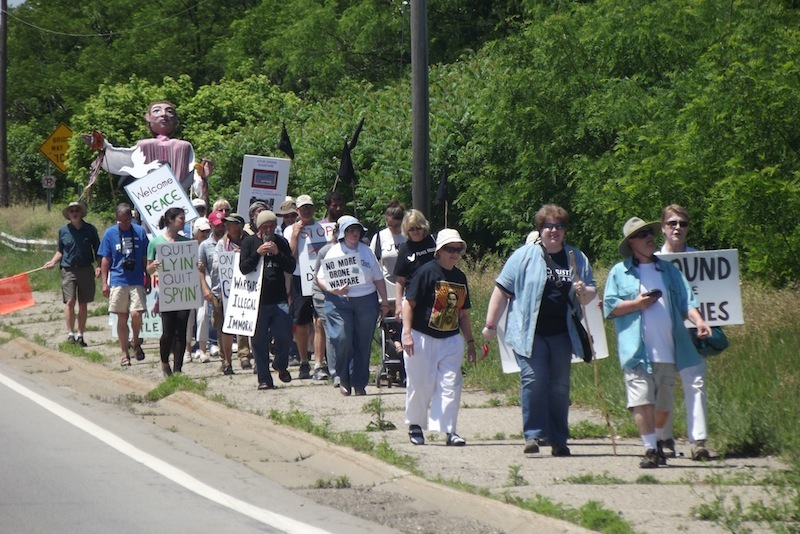 This protest coincides with the anniversary of the assault last year which killed over 2000, 450 of which were children. More info. 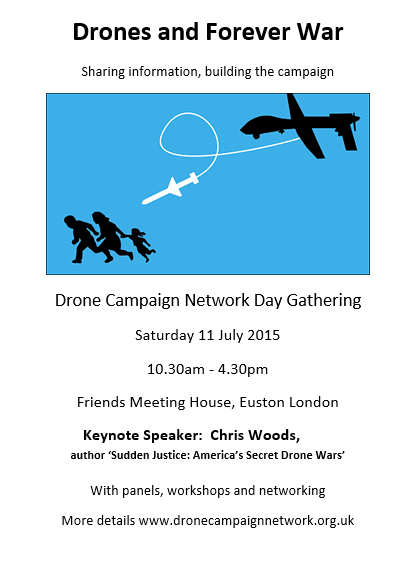 This year’s keynote speaker, investigative journalist Chris Woods has recently published ‘Sudden Justice;' America’s Secret Drone Wars’. Plus a panel of speakers including Maya Evans, Chris Cole and Tim Harman. Maya, from VCNV UK, has just returned from her sixth visit to Afghanistan and will talk about the state of the country after the withdrawal of British troops but where US drones are still flying. Chris, from Drone Wars UK, will talk about the new drones in development. You can hear him talking about strikes in Iraq and Syria and the future of drones here. Tim, from the Quaker Council for European Affairs, will be talking about European policy and US targeted killing. Workshops include: Fly Kites Not Drones education pack, Weighing up the Morality of Drones, Drones Israel and the BDS movement, Planning Future Actions. 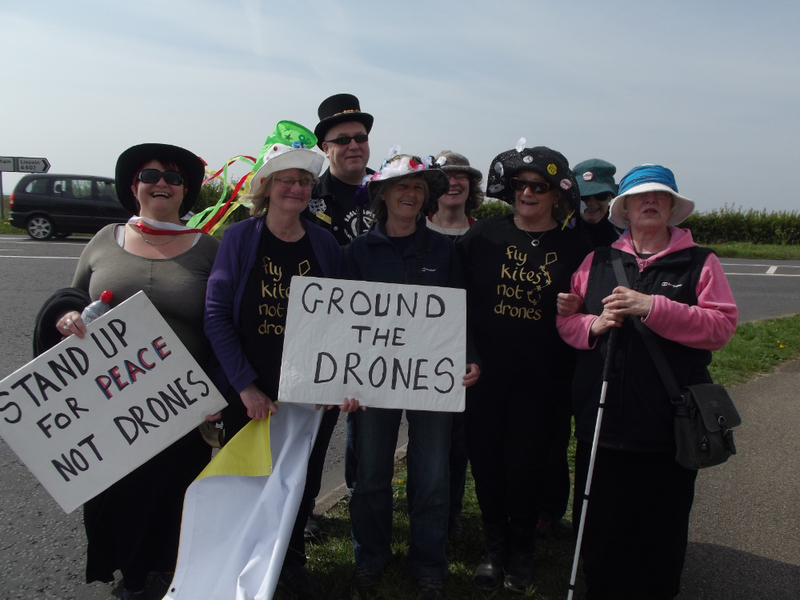 12 anti drones activists pleaded 'not guilty' to trespass and interfering with traffic after entering into Creech airbase after taking part in a protest to shut down the base. Christine Nelson, a nurse practitioner from Northern California who pleaded not guilty to trespassing, acknowledged that it is a tough choice for members of the armed services to disobey orders, but it is the right thing to do. Opposition to drone strikes has risen as the number of strikes has spiked under the Obama administration. The federal government has conducted more than 450 strikes in Pakistan, Yemen and Somalia, nearly nine times more than under President George W. Bush, according to the Bureau of Investigative Journalism. Read More.